Retirement, as we know it, is changing. Years ago, retirees could rely on their government programs, pensions, and personal savings. Today, due to the impact of inflation, volatility, taxation, and health care costs, those programs no longer make up a significant portion of their income for retirement. Most retirees now have to rely mostly on their personal savings and other creative ways to fulfill their retirement income need. That is why many consider an annuity to help achieve their needed income in retirement. People can buy an annuity for its qualified plans, legacy strategies, long-term accumulation, growth options, tax advantages, and, most importantly, for the retirement income it provides. 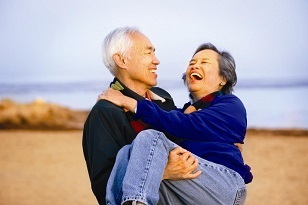 We understand the importance of helping you create a stream of lifetime income for your retirement. You can manage your lifestyle, avoid market volatility and potentially create a lifetime income simply by having a conversation with us about how you can create a retirement income plan with annuities. Contact us and schedule a time to discuss your situation. We will provide you with a personalized Custom Annuity Review Report and help equip you with the information you need to build a solid plan for the retirement you have diligently worked for over the years. Annuities are designed to be long-term investments and frequently involve substantial charges such as administrative fees, annual contract fees, mortality & risk expense charges and surrender charges. Early withdrawals may impact annuity cash values and death benefits. Taxes are payable upon withdrawal of funds. An additional 10% IRS penalty may apply to withdrawals prior to age 59½. Annuities are not guaranteed by FDIC or any other governmental agency and are not deposits or other obligations of, or guaranteed or endorsed by any bank or savings association. With fixed annuities, both the money you invest and the interest paid out are guaranteed by the claims-paying ability of the insurer. Investors should consider the investment objectives, risks, charges, and expenses of an annuity carefully before investing.